Over the course of a year, I handle hundreds of emails helping adult learners who are beginning or ending their graduate degree careers. Fresh from school myself, I realize it is important to deliver quick, user-friendly responses to help them continue their paths with one less roadblock. 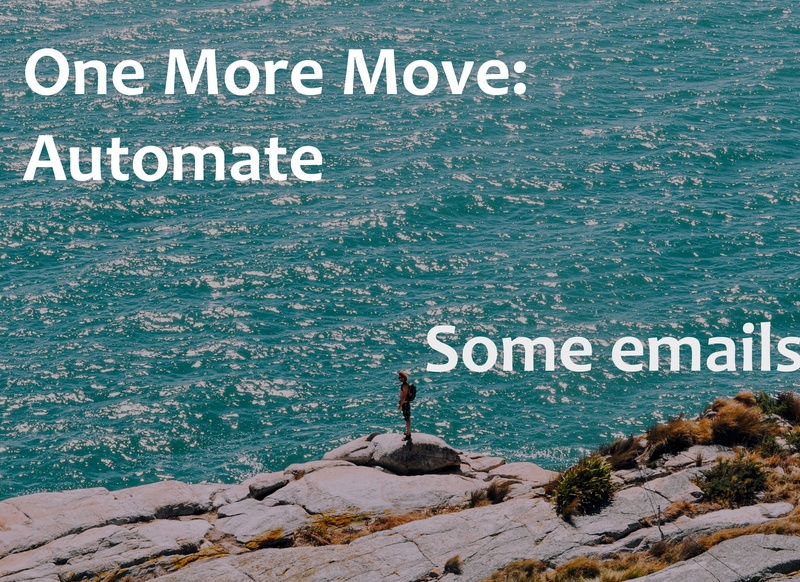 Anyone who has to consistently answer familiar questions will find relief in e-mail automation. Taking time to direct anyone who approaches directly to valuable links on the website helps students while boosting your brand as a service leader. Think of common links you share with others. Take time to write a 1-2 sentence response and provide helpful links in your message for each and every person. This blend of human response and helpful links elevates your email customer service, while shaving time for high order activities. Another simple step to take this week. Check out more moves on the site or send an email to weigh in on being an authentic leader in a branded world.